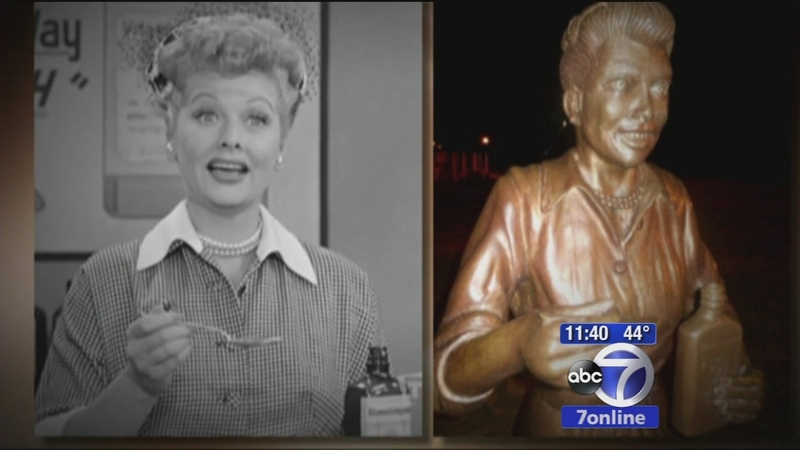 'Scary Lucy' prompts new Lucille Ball statue, but will it be a hit? CELORON, NY -- What could be scarier than a statue of Lucille Ball that was so hated it was dubbed "Scary Lucy"? Being the sculptor hired to replace it. 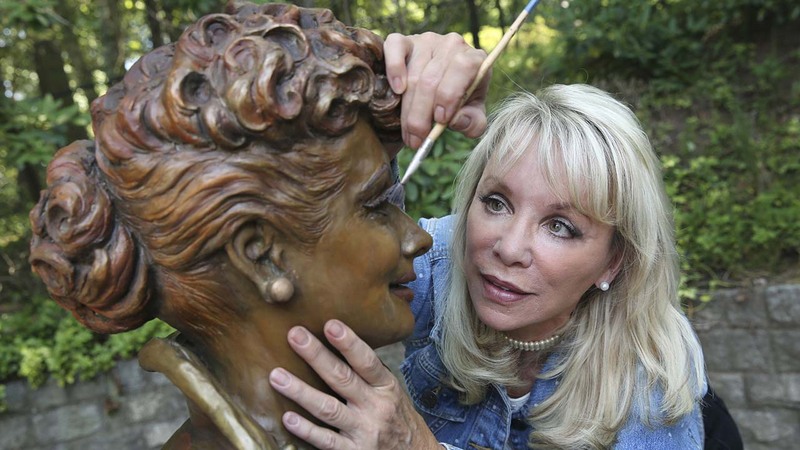 "It was completely intimidating," said Carolyn Palmer, whose new Lucy is to be unveiled Saturday in Lucille Ball Memorial Park in the actress' western New York hometown of Celoron. "You can't please everybody," Palmer said by phone from her New Jersey studio, where she was putting the finishing touches on the bronze sculpture she began nine months ago. "But overall, I just really, really hope that I please the town of Celoron, please Lucy's family and all her fans. ... Fingers crossed!" It's hard to imagine she could do any worse than Dave Poulin, whose 2009 version was so thoroughly panned for looking absolutely nothing like the comic actress that fans launched a Facebook campaign last year with the name, "We Love Lucy! Get Rid of this Statue." Poulin said he ended up receiving hundreds of angry emails and even death threats for his donated piece, which depicted Ball from the famous "I Love Lucy" episode in which she auditions for a "Vitameatavegamin" health tonic ad. Critics blasted its disturbingly wide-eyed and even zombie-like face. After Poulin's offer to redo the statue for free was declined, a town selection committee looked at dozens of sculptors before going with Palmer, best known for her sculpture of Pope Francis, created for his visit last year to New York City. Private donors are covering the estimated $250,000 cost. To capture Ball, who died in 1989, Palmer enlisted three different models and studied photos, movies and, of course, all those TV shows from the 1950s. Careful not to reveal too much about the new Lucy in advance of the official debut, Palmer did say she wanted to show her subject's energy, glamour and confidence, evoking movement with her dress blowing in the wind. Harder to capture, Palmer said, was Ball's penchant for wearing "sort of painted-on makeup," which doesn't always translate in bronze. "She's a stunning woman. I had to do a little bit of exaggerating in certain areas to bring that out." Celoron Mayor Scott Schrecengost said he's hoping the work, which he's seen, puts to rest "a very bad story that started a year ago." Then again, Scary Lucy has been such a draw (Schrecengost has seen people brush off the snow in the middle of winter to take a selfie) that there was talk of moving it to the National Comedy Center under construction in nearby Jamestown. But the plan for now is to relocate it to another spot in the park. Schrecengost knows that might not sit well with the fans who wanted Scary Lucy gone. But, he said, "It's been an icon in itself."